We claim to be tech-savvy, but are quick to shy away from video interviews. Is it time to change our attitude and behaviour when it comes to video interviews as a recruitment strategy? Video interviews as a recruitment strategry: to fear, or not to fear? Video interviewing technology has shaken up the recruitment process in the US, and is now becoming more popular among recruiters and employers here in the UK. Video interviews save employers and candidates time and money, as well as giving candidates an opportunity to showcase their personality beyond the traditional CV. However, employers and recruiters have told us that candidates can sometimes drop out of the job application process when it comes to the stage of recording a video interview. Despite being a self-confessed digital nation, people in the UK do take time to embrace new technology. Research conducted by Foosle found that 78% of Brits describe themselves as ‘tech-savvy’– adopters and users of all things digital¹. However, this tech-enthusiasm has not crossed into the world of job-seeking, with just 15% of people in the UK claiming to have used digital tools to apply for a new role². The research also revealed that millennials aren’t as tech-forward as expected when it comes to applying for jobs; just 2% of millennials have tried out video interviewing. Video interviewing is an emerging – and different – experience for jobseekers, so naturally there is some hesitation. This perhaps explains why the majority (64%) of jobseekers stick to what they know when applying for jobs: CVs and covering letters. How can we bridge this technology-adoption gap so that employers, recruiters and candidates alike can get the most out of video interviewing? Social norms: People tend to follow the crowd. In order to change behaviour, candidates need to see video interviewing adopted by the majority of the group – and especially by their peers. When recruiters are communicating with a candidate about a video interview, there’s benefit to be had in positioning it as something that people are starting to come across more often, particularly for the next generation of jobseekers. The messenger: Choosing the right person to deliver your message is equally as important as what you are communicating. 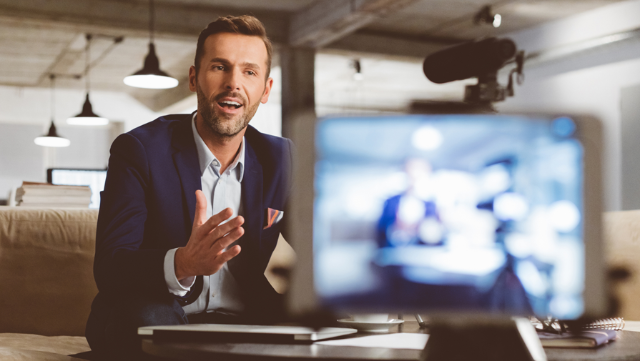 Using case studies of candidates whose video interviews have translated into success, for example, will encourage other candidates to try it out too. Risks and incentives: Another thing to think about when asking candidates to record a video interview is the risks they might associate with trying out this new technology; for example, candidates may worry about how they will come across in the video. When we’re deciding whether or not to try something new, a natural response is to weigh up the potential risks against the incentives. You can encourage candidates by both addressing probable concerns and emphasising the potential gains of a video interview. ¹ Foosle commissioned Tech-Savvy research with OnePoll who surveyed a GB representative sample of 1,000 adults in 2015. ² Digital tools for job application refers to social media (7%), video CV (2%), Skype interviews (4%) and video interviews (2%).